The soap opera teen in me loved this series. It can be pretty dramatic and it might not appeal to those who are looking out for some serious stuff. But for a summer binge watching marathon this one is pretty good enough. Four best friends; Aria, Emily, Spencer and Hannah fall out with each other after the leader of thier gang, Alison, mysteriously disappears. A year later, the friends start recieving anonymous texts signed from someone called A threatening to reveal their personal secrets which only Ali knew. So does this mean Ali is back from the dead? The friends need to stick together to find out the truth about A and about Ali. I like the way this show is presented. She may act all snobby at times but she really is a softie. Plus, she can be funny right in the middle of a serious scene. This series is based on a book series by Sara Sepherd. At the end of every episode I feel an itching to download the next one to find out what happens next. It kind of drags you into the drama. Tip: If u do watch this show, don’t get too much into figuring out who A is and why and how. Let it unwind on it’s own. Phoebe Redmond has always lived under the shadow of her dazzling and gorgeous sister Alex. Whatever Phoebe wanted, Alex got it without asking. Phoebe always had a crush on Luke but naturally Luke fell in love with Alex. When Alex decides to marry Luke, Phoebe suspects that there is something going on in Alex’s mind that she isn’t sharing. But will this mean that Phoebe finally gets to come out of being “Alex Redmond’s sister”? This book is a fantastic entertainer. I really enjoyed it. Those who enjoy sibling rivalry will like this one. I couldn’t put it down – I wanted to know what happened next with Phoebe, Alex, Luke and Will. The tagline of this book makes no sense at all. Throughout the book I was waiting for when Nita might behave badly but she’s always helping Cass. Cass lives in Norfolk & runs a furniture shop attached to her house. With her boys in university & her mom hitting it off with her toy boy, everything is going as usual. When enters her childhood friend Fioana into her life once again. Cass finds herself getting pestled between Fioana and her partner Andy’s relationship which is in troubled waters. Just when Cass thinks that their choir competition in Cyprus would be the perfect opportunity to get away from all this, that’s when the real drama starts. This book is slow to start. There isn’t anything much happening until the All Stars get to Cyprus. After that it picks pace and turns out to be a good read. Though with the ending, it nose dives again. 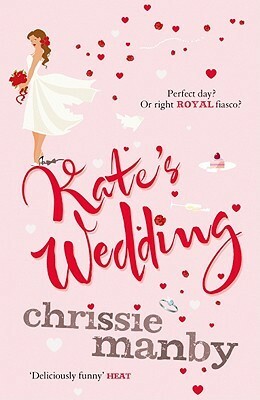 I have heard that Chris Manby was actually supposed to release another novel in 2011 but after the engagement announcement of Prince William & Kate Middleton, she was suddenly struck by inspiration & wrote Kate’s Wedding in a month. No, this book isn’t a tribute to the royal couple. 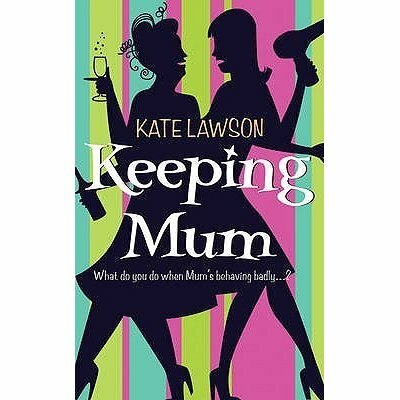 The Kate in the book is Kate Williamson. 39 years old, successful partner in a law firm, she was hardly expecting her boyfriend to propose to her. But when he did what should have been the most beautiful moment in her life turns into an almighty source of misery. Kate wonders if Kate Middleton too feels like what in the world has she signed up for? Will Kate make it to the aisle or will she bail? Diana Ashcroft on the other hand spent all her life dreaming up about her perfect wedding. She was born at the exact moment when Lady Diana Spencer married Prince Charles & hence was named after her. So it feels like destiny that she should have a wedding as royal as Prince William & Kate Middleton.